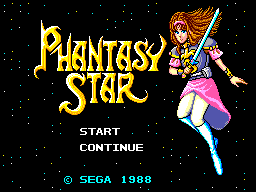 This is a thorough alteration of Phantasy Star for the Sega Master System to make it better tie-in with the rest of the classic Phantasy Star series. Nearly every piece of equipment has a different attack or defense value, many cost more, some items have been overhauled, some are only found from battles with boss monsters. The monsters now come at you in large numbers, so be prepared to fight the Hordes to get where you are going. As for Nei… that is for the player to discover!